State Minister of Fisheries and Aquatic Resources Development has decided to establish a special raid unit in order to prevent illegal fishing practices related to inland fishing industry of the country, Ministry sources said. 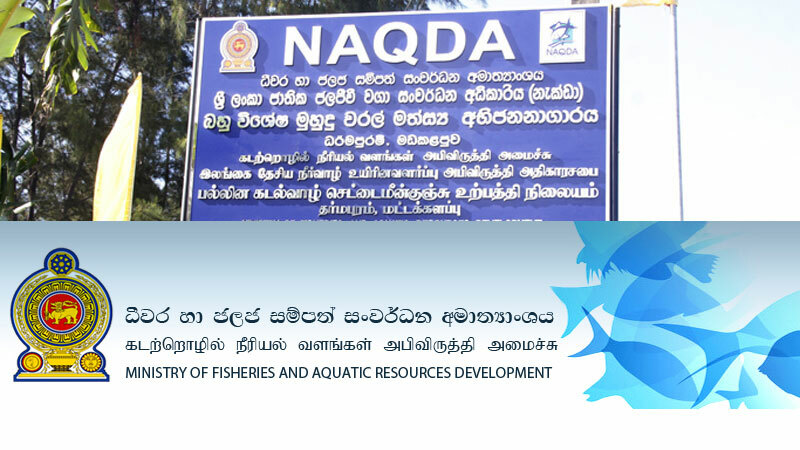 The State Minister has already instructed the Director General of National Aquaculture Development Authority (NAQDA) to take necessary measures to establish this special unit. According to the statistics of the Ministry, Sri Lanka is endowed with more than 12,000 inland reservoirs and around 40,000 persons currently engage in inland fishing industry related these reservoirs. The NAQDA annually releases millions of fish in to these reservoirs. Around 110 million fish released to these reservoirs in 2018 and yield a harvest of 86,000 metric tons. The State Minister charged that the, the fish harvest has been reduced due to the usage of illegal fishing practices and this has been threat to the inland fishing industry. The State Minister has also instructed the Director General to get the assistance of Sri Lanka police or the Special Task force for the establishment of this special raid unit and take strict legal action against those of found guilty for coming any illegal activity related to inland fisheries industry.